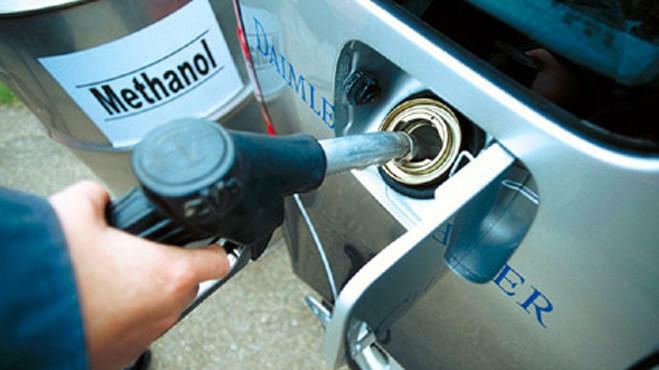 South Korean company GS Engineering & Construction Corporation will launch the production of gasoline from methanol in Uzbekistan at the end of 2022. The presidential decree "On measures to accelerate the development of the chemical industry of the Republic of Uzbekistan" included the organization of high-octane gasoline production at the base of Navoiazot JSC with a preliminary cost of $ 200 million, Uzbek media reported. GS, Uzkhimprom and Navoiazot intend to sign the constituent documents on the creation of a joint venture for the project implementation in December, according to the schedule. The capacity of the enterprise will be 104,300 tons of gasoline from methanol and 14,400 tons of propane-butane mixture per year. By the end of 2019 it is planned to prepare a feasibility study of the project. It is planned to begin construction in May 2020 and in December 2022 to put the enterprise into operation. Methanol is the simplest monohydric alcohol; in the gas industry it is also used to combat the use of hydrates due to its low temperature and good solubility. At the end of 2017, the production of motor gasoline and diesel fuel in Uzbekistan continued to decline and amounted to 1.1 million tons (minus 2.5 percent) and 963,000 tons (minus 4.5 percent) respectively. And in 2010-2016, production in the first position decreased by 26.2 percent, in the second - by 8.3 percent. All this led to the fact that by the end of the year in Uzbekistan periodically there was a shortage of gasoline, including in 2017. To eliminate it in November last year, the country's Finance Ministry allocated an interest-free loan of 2 trillion soums ($8240) for importing hydrocarbons and finished oil products to Uznefteprodukt JSC and oil refineries (refineries) . In January-April 2018, the production of motor gasoline in Uzbekistan increased by 3.7 percent and reached 378,900 tons, diesel fuel - by 15.4 percent to 387,900 tons. Until 2020, imported fuel is exempt from paying customs duties, and the refineries are exempted from income tax, with the release of funds released for modernization, technical and technological re-equipment of production facilities.